Agri-Systems has been a leader in the grain storage, grain handling, and grain conditioning industry for over 50 years! Agri-systems is a leading supplier of grain bin solutions for both farms and commercial sites. Agri-Systems, Inc is a third generation company headquartered in Litchfield, MN, with a second office in Cottonwood, MN. Throughout the past 6 decades, Agri-Systems has created a hard-earned reputation as the most trusted and dependable company for your grain storage, grain handling, and grain drying needs. 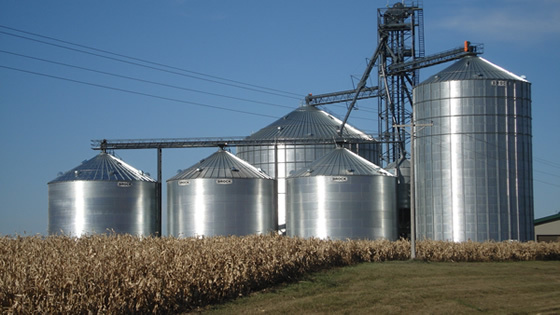 Our services are provided for farmers, grain elevators, ethanol plants, and feed mills. 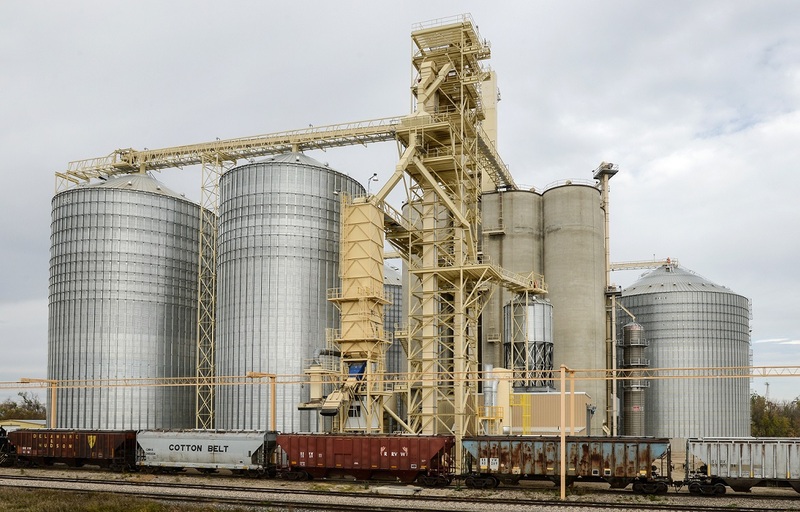 Our company specializes in designing grain facilities, providing the best equipment for grain systems, and providing quality construction services! Whether you are simply looking for some materials shipped directly to your doorstep, helping in the design process, or a completely new state of the art grain facility we are happy to help. Most of our construction services are provided in the Midwest, primarily Minnesota, the Dakotas, and Wisconsin. However, word of mouth has brought our experienced crews as far as Montana, Wyoming, and Colorado. Through this website, a fast growing portion of our business is providing materials for grain handling throughout the entire country. With today’s communication technologies, it is simple for us to work with customers several states away to find the best products and solutions for their needs. We have found that we can be competitively priced on most grain handling equipment and provide knowledge, experience, and resources not often found in our industry. However you decide to utilize our services, we can promise you will be treated with integrity by a professional staff. We will be honest, provide fair pricing, quality services, and on time deliveries with no surprises. Agri-Systems, Inc. has complete in-house capabilities for all commercial and farm grain storage and handling projects. Complete Grain Storage Systems from simple facility expansions……. We sell top quality grain storage, handling, and conditioning products throughout the country. Our firm can help you design the most efficient and cost effective facility now while planning for future expansion. Our design staff uses the latest technologies such as Total Station surveying equipment and AutoCad to design each project. 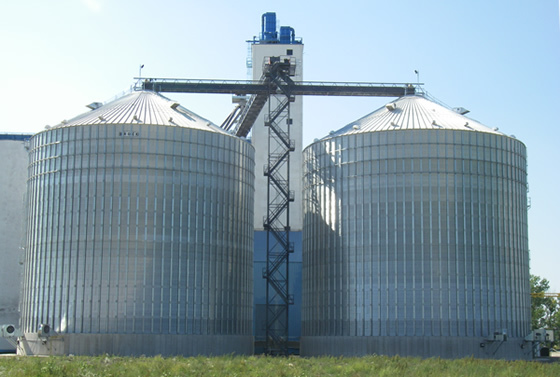 At Agri-Systems we are experts at designing and constructing grain bin structures and grain handling systems. From several thousand bushel grain bins to the world’s largest commercial tanks; we have the knowledge, experience, and equipment to get the job done on time and on budget. It doesn’t matter if you’re looking to add to your existing grain system or if you need a complete ground up installation, Agri-Systems is here to help you move your grain fast, efficiently, and safely. Grain elevators, grain dryers, grain conveyors, and grain spreaders are just some of the quality equipment that we provide. Agri-Systems has over 50 years of experience in the grain storage, grain conditioning, and grain handling industry. It’s because of that experience that Agri-Systems has become a recognized leader in the grain storage field. Our experience has given us the design capabilities to tailor our grain storage system to your exact specifications. Agri-Systems has the capability to customize your grain system layouts to fit the most demanding of job sites. Our promise to you is to build you the absolute best grain storage and handling system that fits your needs. For a reliable and efficient grain bin solution we will work with you to ensure that we can make your dollars go the distance for you, while still maintaining our proud tradition of offering high quality and durable grain bins and grain handling products. To find out more about Agri-Systems and the grain storage products we offer, take a look around our site. Turnkey grain systems from start to finish. We are diversified with millwright capabilities and building expertise. Dependable, quality service with many years of experience. A staff of key employees with many years of experience. Reputation for completing work on time or even ahead of schedule. NO SURPRISES! Long-term commitments and partnerships with major brand suppliers, all of which are leaders in the industry. In house certified crane and forklift operators.